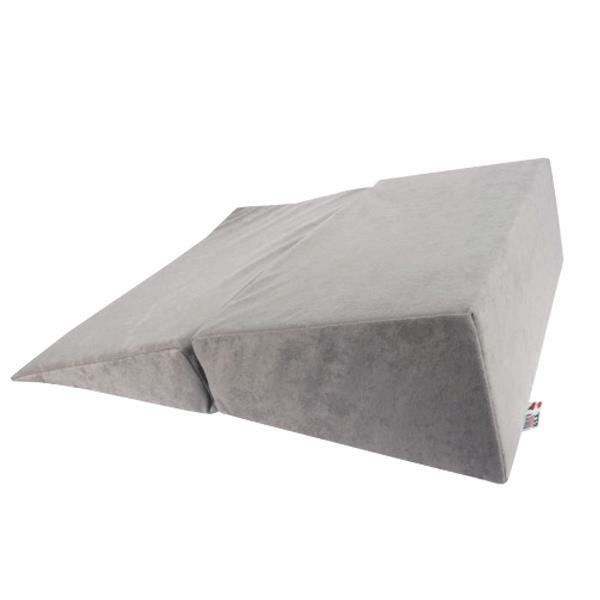 Core Bed Wedge is a convenient solution to elevate the upper body or legs, helping to relieve the symptoms of hiatal hernia and reflux disorders. Gentle elevation helps alleviate the pain or numbness sometimes caused by lying flat on the back. Core Bed Wedge can easily be placed in or on a bed and can be used while reading or watching television as well as while sleeping. The Bed Wedge is a convenient and natural solution for treating the symp-toms of hiatal hernia. Used in conjunc-tion with diet and exercise, the wedge is an effective and inexpensive alterna-tive to surgery or medication. The Bed Wedge can also help allevi-ate the pain and numbness sometimes caused by lying flat on the back. The gentle incline removes pressure from the lower back, shoulders and neck area, and places the lumbar spine in mild flexion. Using the Bed Wedge to elevate legs also increases blood flow, aiding in relief of the pain and swelling due to poor circulation. The Bed Wedge is a great support pillow for reading, surfing the internet, watching television or resting comfort-ably in bed. Constructed from precision cut, high quality foam and covered in a white sateen fabric with subtle striping, it’s an attractive addition to any bed-room or living area. Zippered cover is removable and hand washable. Three height options allow the user to select the appropriate amount of lift to maximize comfort and relief. Our unique two-pieced hinged design stores conveniently and ships less expensively. What hight is best for watching TV or surfing Internet? Three height options are available which allows the user to select the appropriate amount of lift to maximize comfort and relief.